In the six months that I spent on the International Space Station, it was difficult to find the words or take a picture that would accurately describe the feeling of being in space. Working with Google on my latest mission, I captured Street View imagery to show what the ISS looks like from the inside, and share what it’s like to look down on Earth from outer space. For 16 years, astronauts have been working and living on the ISS, a structure made up of 15 connected modules that floats 250 miles above Earth. The ISS acts as a base for space exploration—possible future missions to the Moon, Mars and asteroids—and gives us a unique perspective on Earth itself. We can collect data on the Earth’s oceans, atmosphere, and land surface. We can conduct experiments and studies that we wouldn’t be able to do from Earth, like monitoring how the human body reacts to microgravity and solving mysteries of the immune system or studying cyclones in order to alert populations and governments when a storm is approaching, or monitoring marine litter—the rapidly increasing amount of waste found in our oceans. My mission to the ISS marked a few “firsts.” It was led by Peggy Whitson who, at age 56, became the oldest woman to fly into space and the first woman in history to command two expeditions. The mission was the first time Street View imagery was captured beyond planet Earth, and the first time annotations—helpful little notes that pop up as you explore the ISS—were added to the imagery. They provide additional information or fun facts like where we work out to stay physically fit, what kind of food we eat, and where we conduct scientific experiments. Today, you can take your own Street View tour of the ISS, a place that few of us have had the fortune to set foot—or float—on. 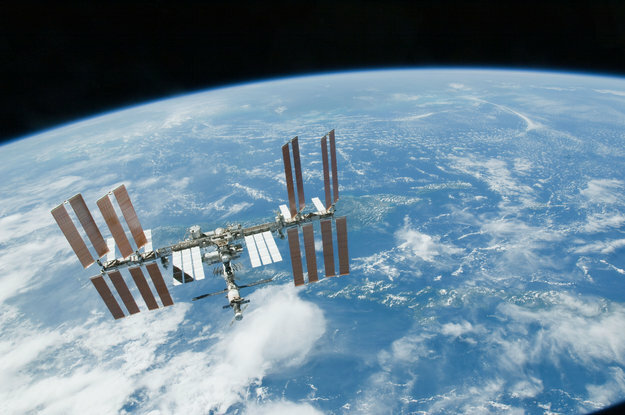 The Street View team worked with NASA at the Johnson Space Center in Houston, Texas and Marshall Space Flight Center in Huntsville, Alabama to design gravity-free Street View collection tools using DSLR cameras and equipment already on the ISS. Then I collected still photos which were stitched together to create panoramic 360 degree imagery of the ISS. We did a lot of troubleshooting before collecting the final imagery that you see today in Street View. The ISS has technical equipment on all surfaces, with lots of cables and a complicated layout with modules shooting off in all directions—left, right, up, down. And it’s a busy place with six crew members carrying out research and maintenance activities 12 hours a day. There are a lot of obstacles up there, and we had limited time to capture the imagery, so we had to be confident that our approach would work. Oh, and there’s that whole zero gravity thing. None of this would have been possible without the work of the team on the ground, my colleagues (turned roommates) on the ISS, and the countries that came together to send us up to space. Looking at Earth from above made me think about my own world a little differently, and I hope that the ISS Street View changes your view of the world too. This reportage does it exist in french linguage ??? How to contact Thomas Pesquet to have some news about it ???? Is it possible to use this with Google Cardboard? 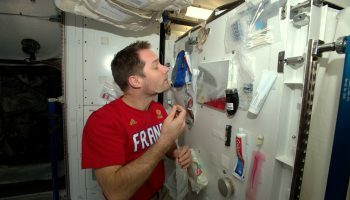 Mr Pesquet, une question me frotte l’esprit : pour quelle raison êtes-vous rentrer le 153 ème jour de l’année ( initialement, vous deviez rentré le 15 mai ) et pourquoi votre collègue américaine Peggy Whitson rentrera le 3 septembre afin de cumuler précisément un total de 666 jours passés dans l’Espace ( initialement, elle devait rentrer en juin ) ? Cordialement et amicalement.